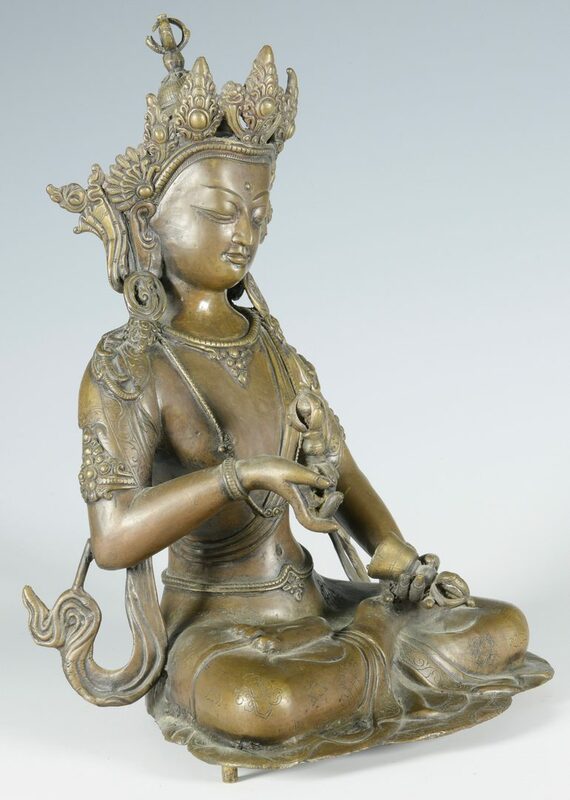 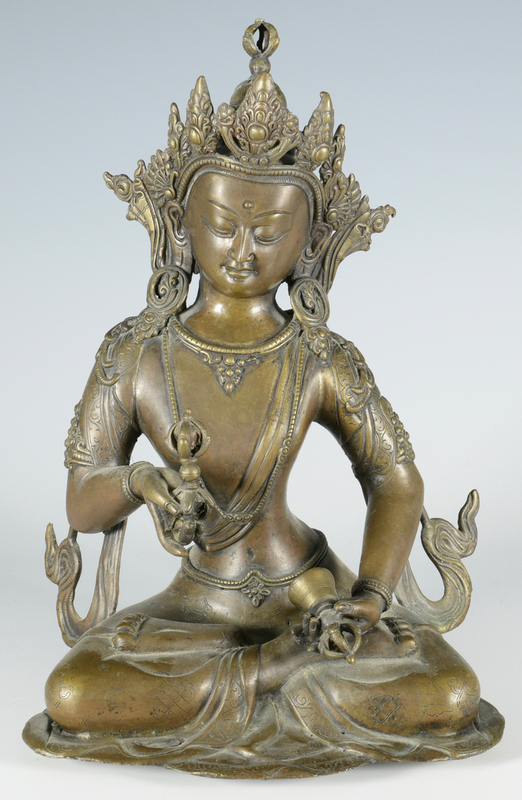 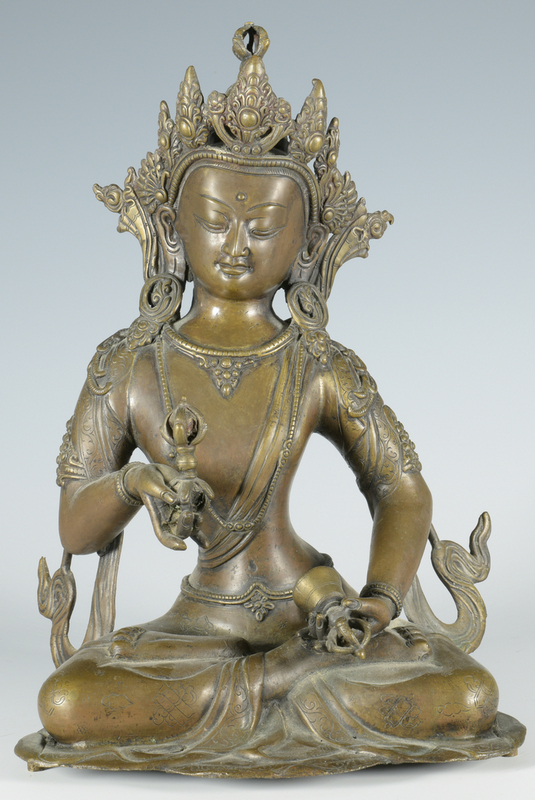 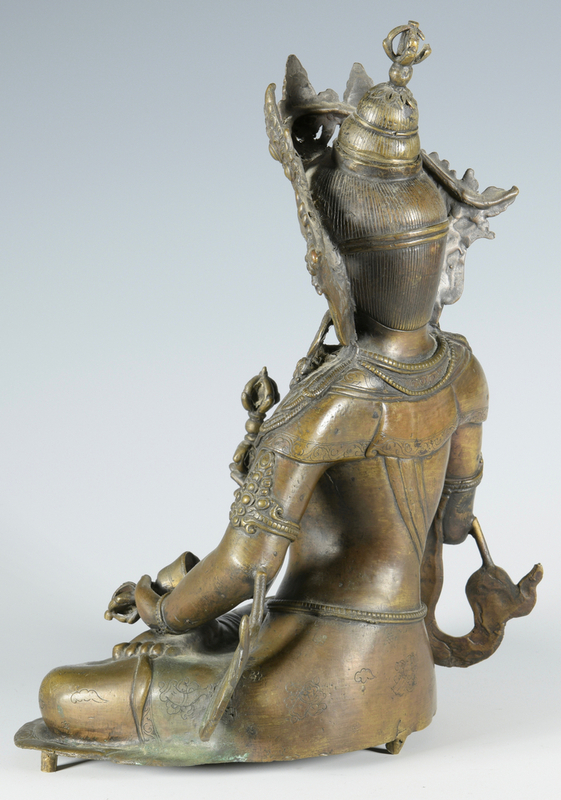 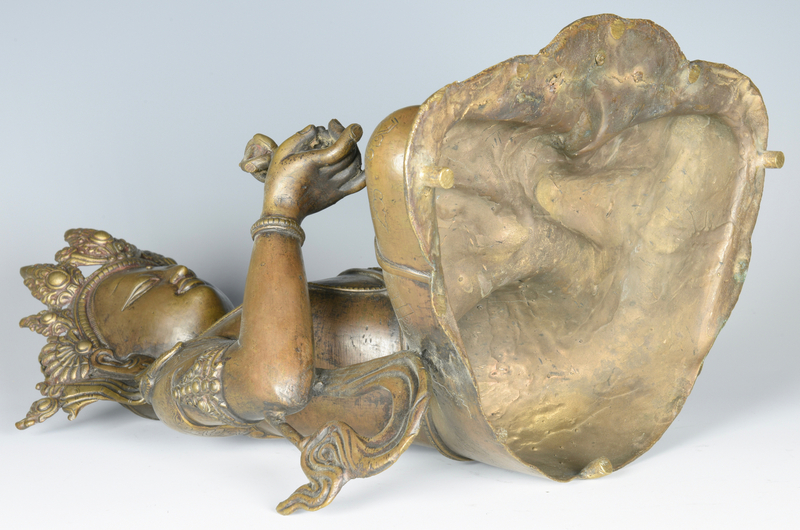 Large Sino-tibetan bronze Bodhisattva figure, seated and holding a bell in one hand and a dorje (symbol of enlightenment) in the other. 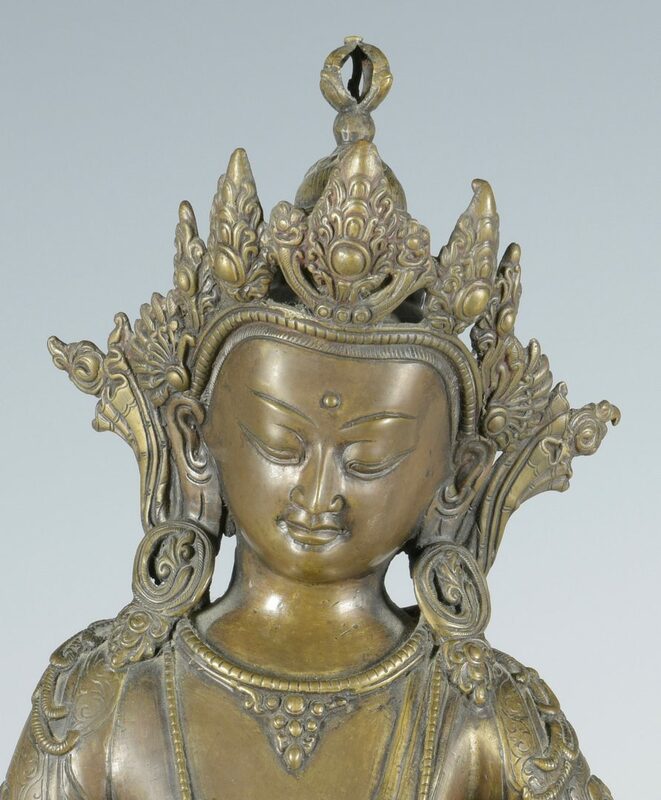 Engraved decorations to base and robes. 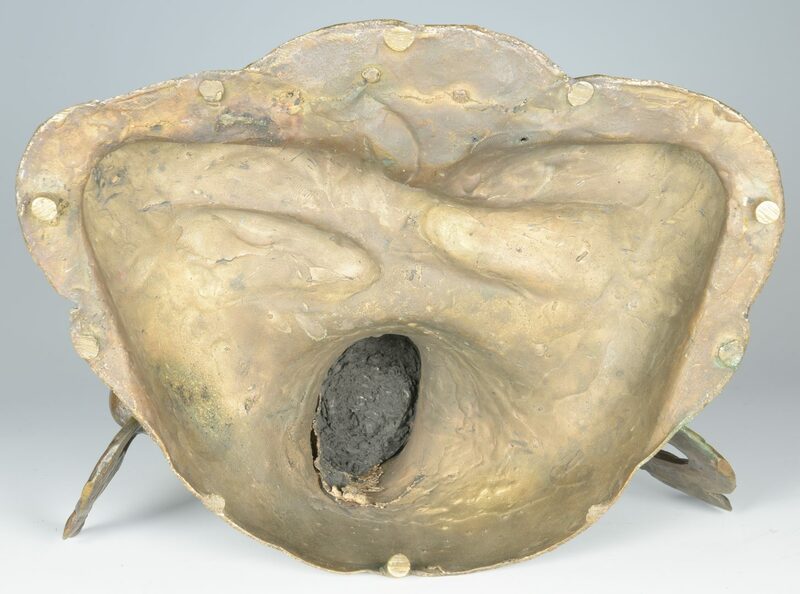 13" H, with detachable 2 5/8" H base (15 5/8" H overall). 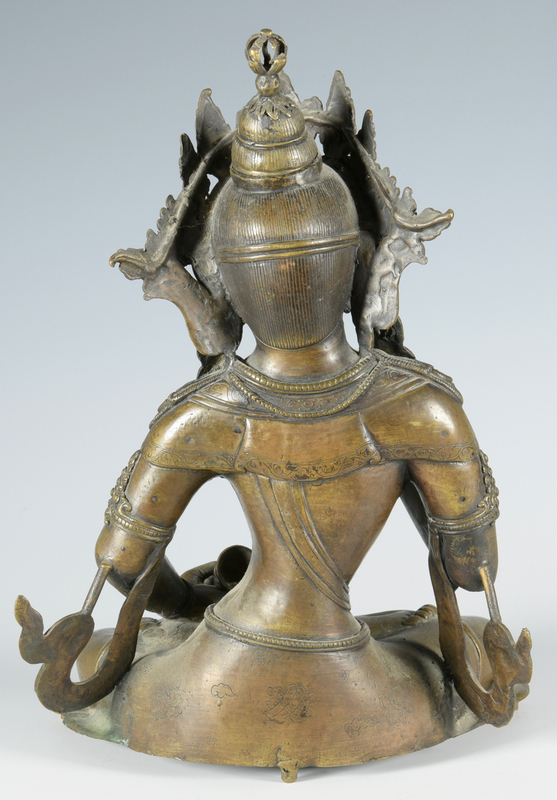 Southeast Asian, probably late 19th to early 20th century. 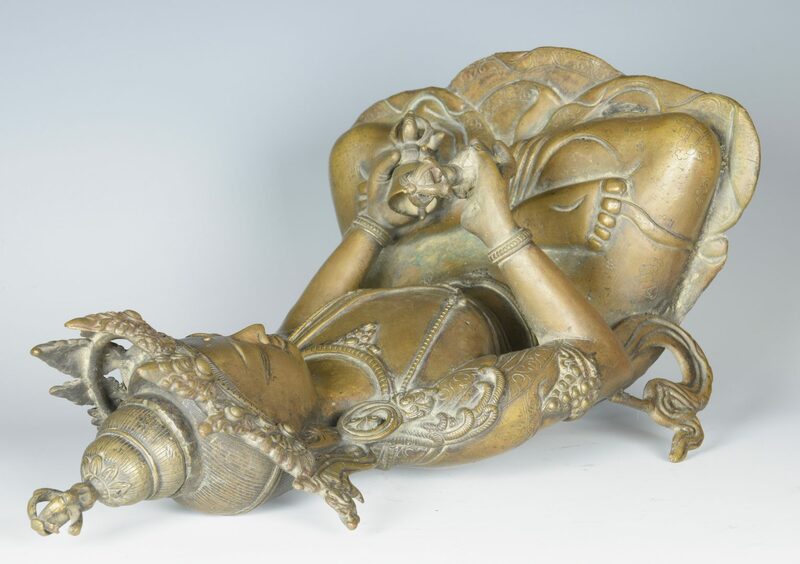 CONDITION: Figure in very good condition with some light wear and oxidation, more significant oxidation to underside of base.